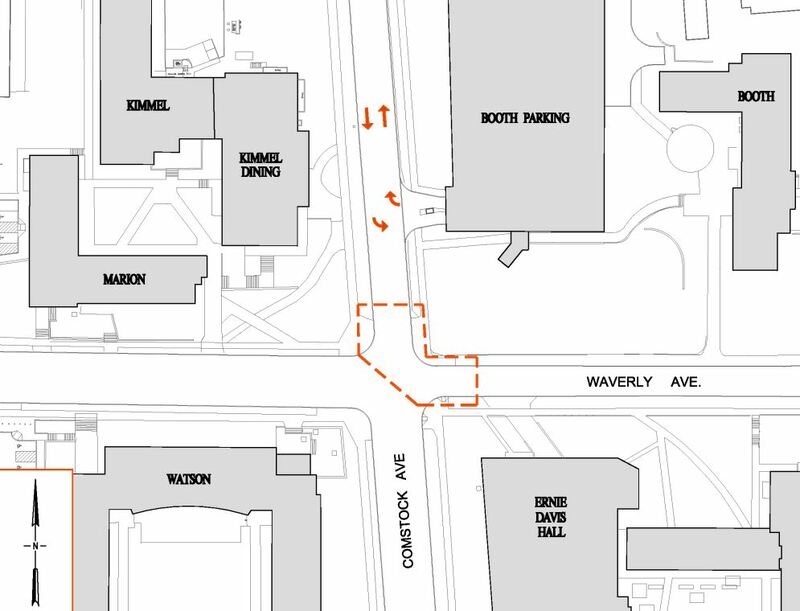 Because of a project to replace a major steam distribution line, Comstock Avenue will be closed between Waverly Avenue and Marshall Street, and Waverly Avenue will be closed between Comstock Avenue and Ostrom. The intersection of Waverly Avenue and Comstock Avenue will remain open. The project is scheduled to take place between June 6 and Aug. 15. For more information on campus construction projects, visit http://facilities.syr.edu/projects/. Booth Garage will remain open. Access to the Booth Garage will only be available southbound on Comstock Avenue, from Marshall Street (local traffic to garage only). Access to Ernie Davis loading dock will be via Ostrom Avenue.